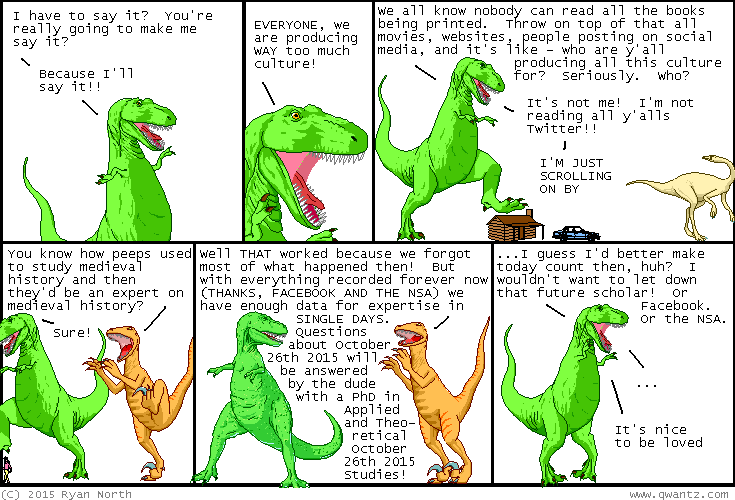 Dinosaur Comics - October 26th, 2015 - awesome fun times! –I'm perfectly content being me!! October 26th, 2015: The "theoretical" part is to allow PhDs in alternate universes, in which perhaps just one thing was changed leading to a vastly different tomorrow?? So keep an eye out today for what that one thing might be.